We all know that a hot dog is a sausage served in a sliced bun. 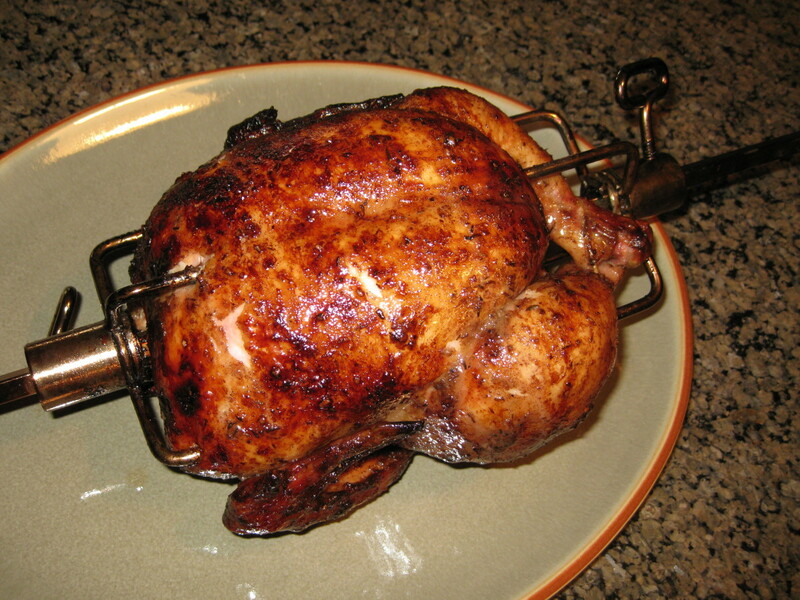 It is most commonly garnished with mustard, onions, ketchup, relish, and or sauerkraut. But here in America the hot dog has been slowly evolving and people in differn't parts of the United States make their hotdogs many differn't ways. Here on this Hub Page were going to be taking a look at what I consider to be the 10 best hot dogs in the world. Along with the recipe for making those 10 delicious hot dogs. 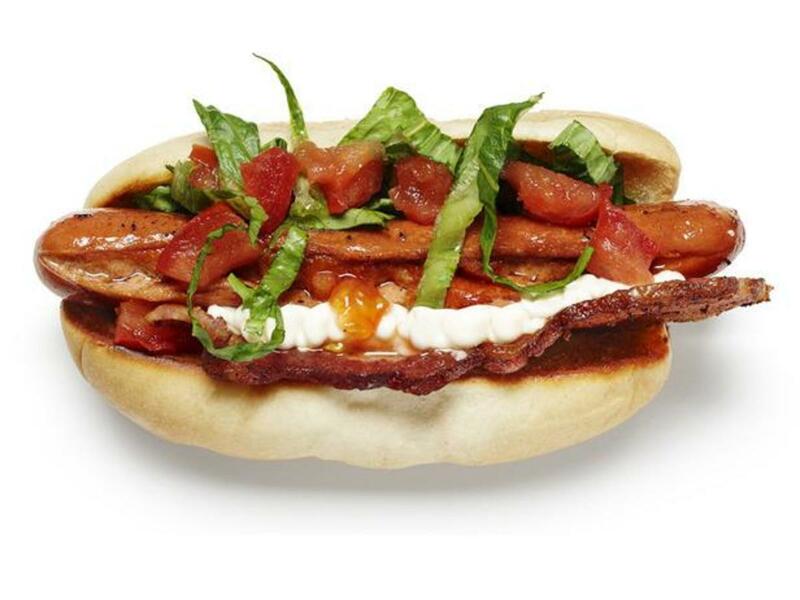 You could take these 10 hot dogs and open your own hot dog restaurant. 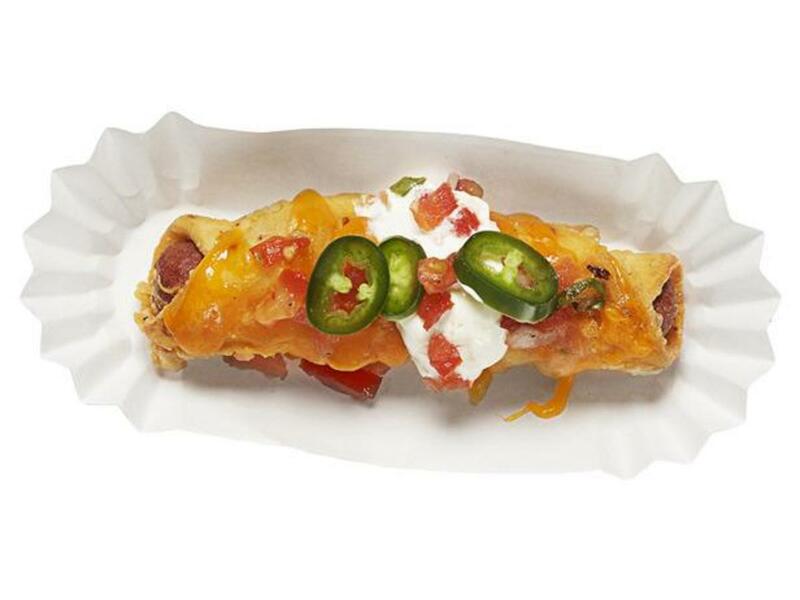 Or you could have a hot dog party and serve all 10 of these popular variations of the hot dog. 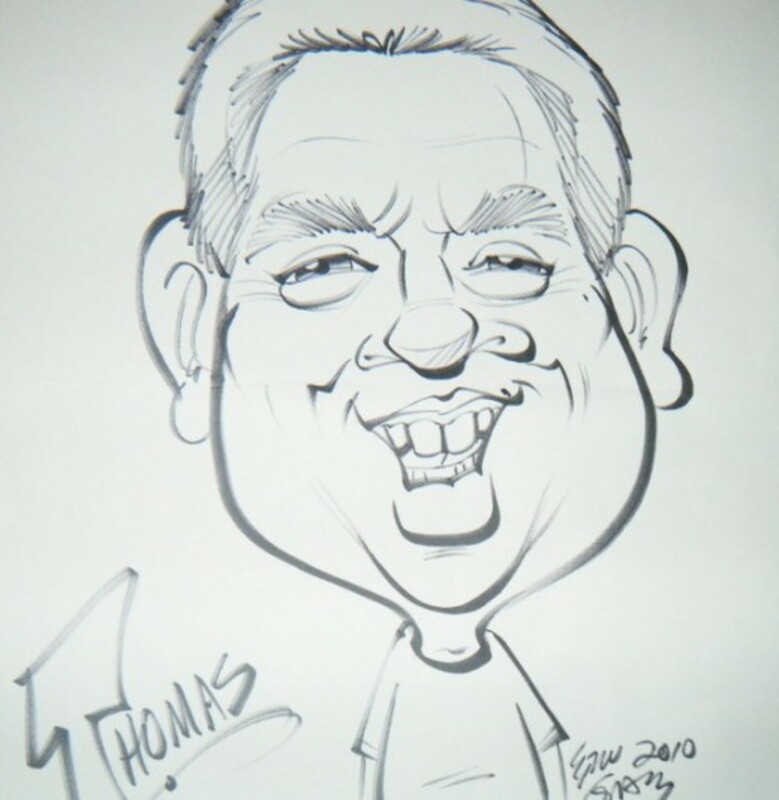 Many people make the claim that this person or that invented the hot dog but we really don't know. Carts selling hot dogs were already popular in New York City as early as 1906 where one hot dog was sold for three cents or two for five cents. I think we can all agree that the hot dog is the best sandwich in America. 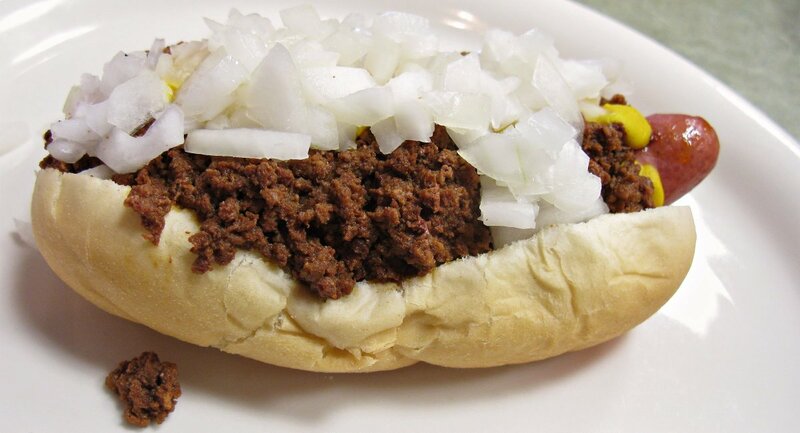 What most of us can't agree on is exactly what should go on the perfect hot dog. Here I have what I consider to be the 10 best hot dogs in America for you to choose from. Which one do you think is the best. About thirty years ago I got off the Greyhound Bus in Chicago for a thirty minute meal stop and I was introduced to the Chicago Hot Dog. And I've made them ever since. Chicago Hot Dogs are an adventure in themselves. For it to be authentic you have to have a poppy seed roll and a all beef hot dog. The hot dog should be grilled and browned slightly but no black please. The skin of the hot dog should blister slightly and the juice should run out but the wiener must not get burnt. Your poppy seed hot dog buns should be steamed till their warm and the hot dog goes down on the bun and that's where the fun begins. You'll need sliced ripe tomatoes, a dill pickle spear, cucumber spears, sweet relish, pickled peppers, diced yellow onion, and a squirt of mustard down the center of the finished hot dog. 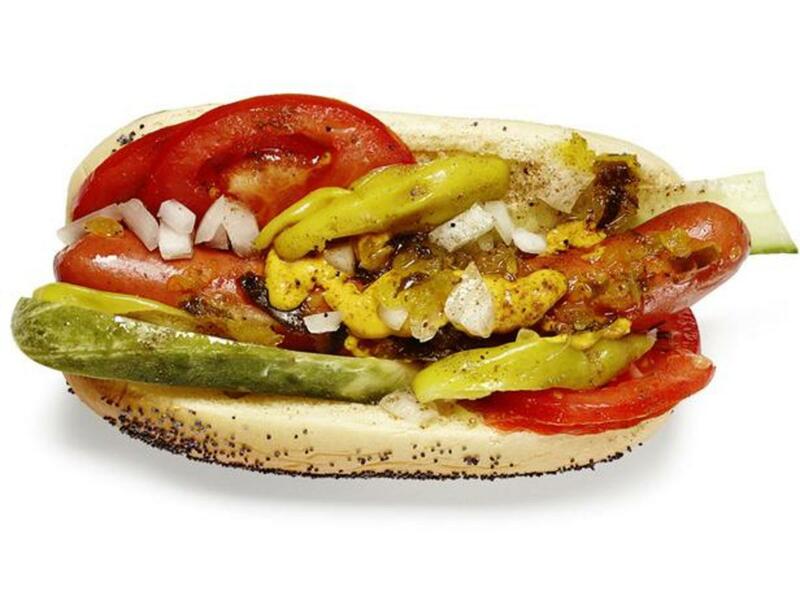 Sprinkle the completed hot dog with celery salt and you have an authentic Chicago Hot Dog just like you would be served in downtown Chicago. Once you take the time to make this hot dog I bet you'll be making it for the rest of your life. It really is that good. For authenticity serve them in wax paper lined paper trays with vinegar fries. Oh man now that's some fabulous eating. Vidalia Dogs are famous in and around Atlanta Georgia and they get their name from being served with onion rings made out of sweet Vidalia onions. Vidalia Onions are from Vidalia Georgia and they are a mild sweet onion grown mostly in Georgia. I've had these hot dogs a couple of times in downtown Atlanta and they are good. Well worth going to the effort to make them. And vidalia onion rings are delicious also. You peel the vidalia onions and then you cut them into thin rings. The onion rings are first dipped into a mixture made out of egg and milk beaten together very well. Then the onion rings are put into a flour mixture made out of flour, salt, and ground black pepper and then the onions are deep fried until brown. And there you have Vidalia Onion Rings. You cook your hot dogs either by boiling or grilling and then you steam or heat your hot dog buns. You put a squirt of ketchup and yellow mustard across the bun and then the hot dog wiener goes on top of the mustard and ketchup. 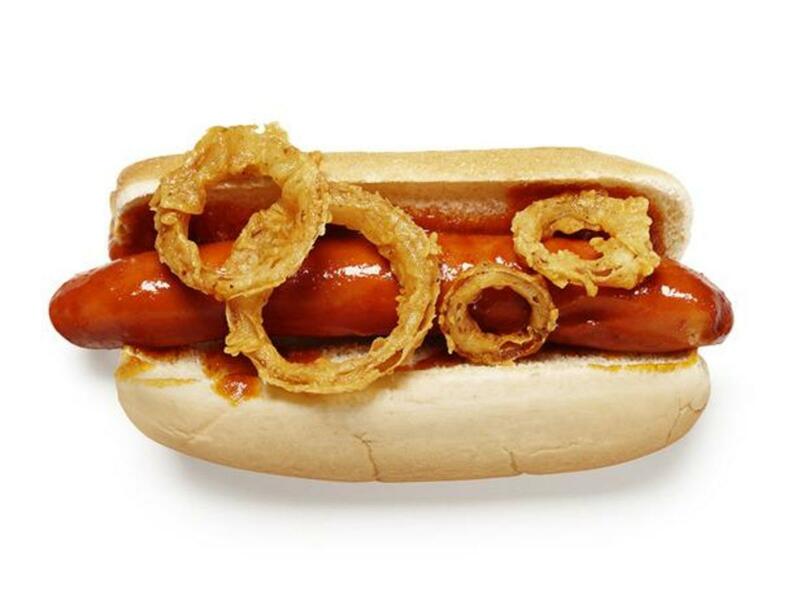 Then vidalia onion rings go on top of the wiener. And there you have a Vidalia Hot Dog. I came upon this Hot Dog just down the street from the public library in Santa Fe New Mexico. The little cafe is gone now that served the first taco dog I ever had back in 1991 but this hot dog and variations of it are served all over New Mexico and the southwestern United States. You always fry the flour tortilla shell in butter being sure to brown it on both sides before you can put your Taco Hot Dog together. 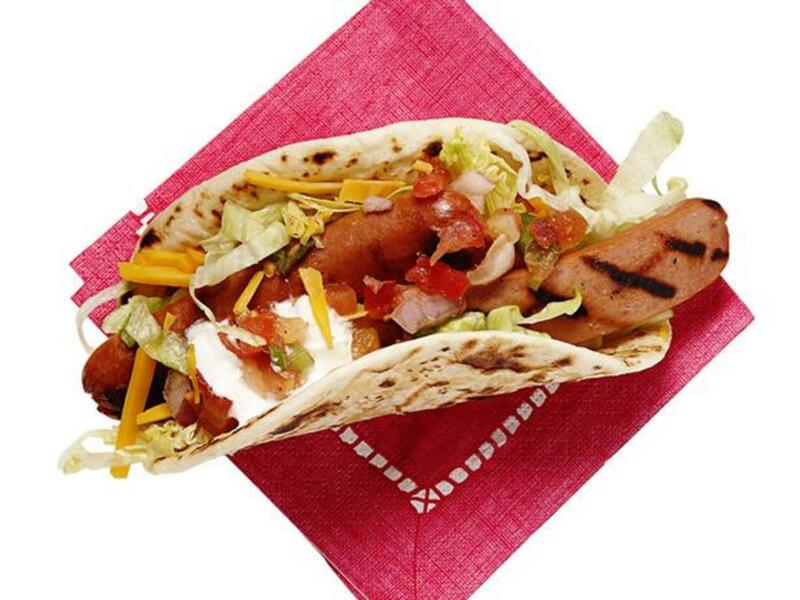 The hot dog wieners are split half in two and usually two grilled hot dog half's are served inside one grilled flour tortilla. Shredded lettuce, diced tomatoes, diced sweet onion, sliced fresh jalapenos, salsa and shredded Monterrey Jack cheese are usually served on the Taco Hot Dog and I always add sour cream and habanero guacamole. If you click that link you'll find a wonderful recipe for habanero guacamole and a recipe for Chicken Tortilla Soup that is oh so delicious. If you like Mexican food you really should try making the Taco Hot Dogs because they are delicious. I was in New York's Little Italy when I ran across the Bruschetta Hot Dog being served from a street hot dog cart. They served a big Hebrew National wiener that was grilled well on a Ciabatta bun that had been split in two spread with garlic butter and grilled toasty brown. 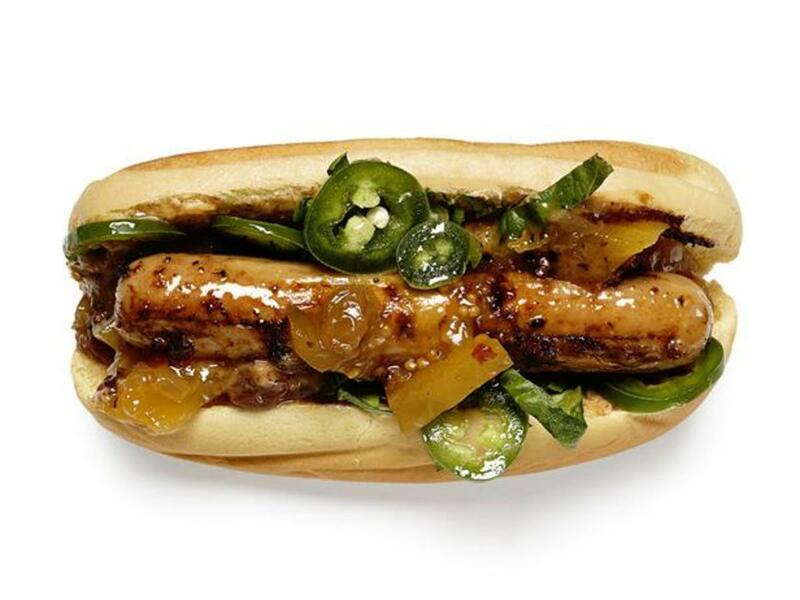 If you like a man sized hot dog with a lot of flavor then this is the hot dog for you. They had cooked fresh basil leaves, butter, tomatoes and fresh minced garlic in a saucepan and a generous portion of this along with more fresh basil leaves was put in the grilled bun and then the grilled Hebrew National wiener was put in the bun and another ladle of the juice which was made up of Italian Dressing and butter was poured over the wiener and you ended up like I said with a man sized hot dog that was oh so delicious. I have made these and then put grated Mozzarella Cheese on top of the wiener and melted the cheese under a broiler. You really should try it and see what you think. I ran across Chimichanga Hot Dogs in the village of Cape Hatteras on the North Carolina Outer Banks and I was really impressed with this hot dog and even went back for more a couple of times while I was down there. They had wrapped a flour tortilla really tight around a beef hot dog wiener and then they deep fried it until the hot dog was done and the flour tortilla was cooked golden brown around the wiener. They put a cheddar cheese sauce over the top of the cooked hot dog and flour tortilla and then on top of that they put salsa, sliced fresh jalapenos, guacamole and sour cream. They offered more hot sauce on the side but it really didn't need it. It was one of the best most unusual hot dogs that I had ever tried. And it's well worth the effort to make it. I ran across one of the best Chili Cheese Dogs I've ever had in Forest City North Carolina. They had made their own chili with no beans for the hot dog and if you click that link you'll find one of the best recipes ever for chili with no beans of mine. 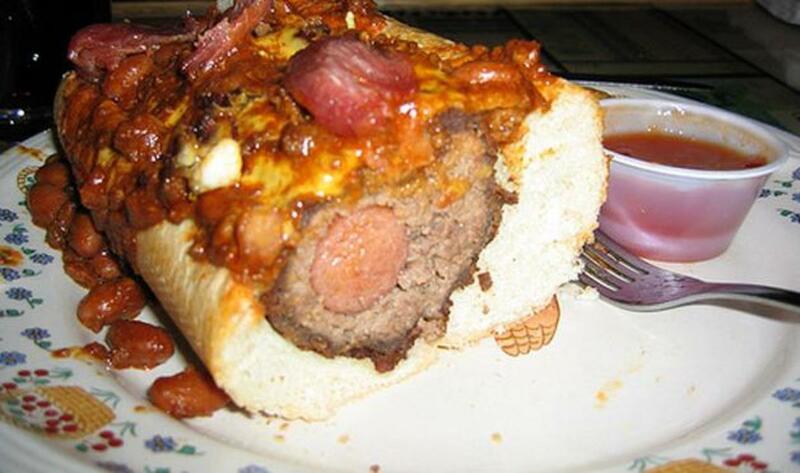 If you make my chili to go on this hot dog you'll end up with one of the best Chili Cheese Dogs of all time. Start off by putting yellow mustard and ketchup across the steamed bun and then put your grilled wiener on the bun. 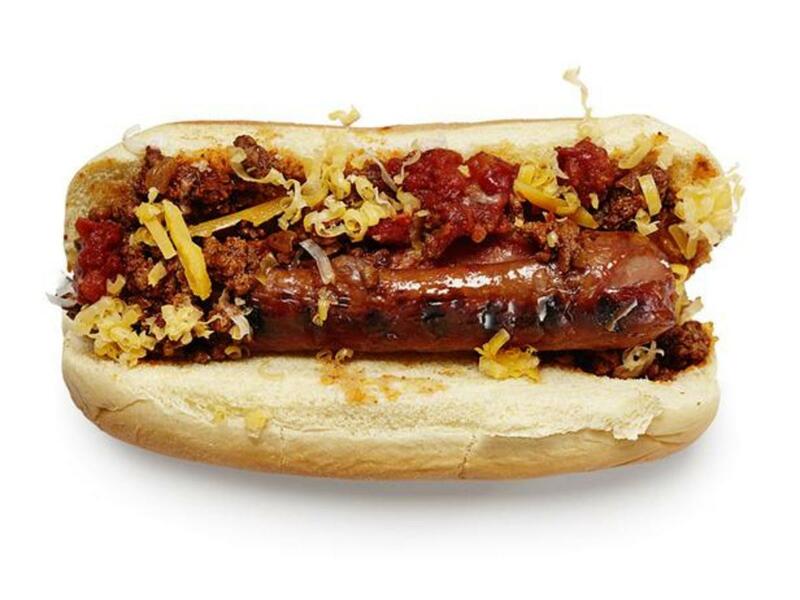 Ladle your chili on and then put a generous spoon of fine shredded sharp cheddar cheese across the top and you'll have the best Chili Cheese Dog you'll ever lock your lips around. Yes it is that good. Make it and let me know what you think. You can if you like make a cheese sauce and put that on your Chili Cheese Dog instead of the shredded sharp cheddar. It's all up to you and what you like. I ran across the Bacon Wrapped Hot Dog at the Owls baseball game in Forest City North Carolina where I found the Chili Cheese Dog above. What they did was boil the all beef hot dogs in beer and the flavor was excellent. 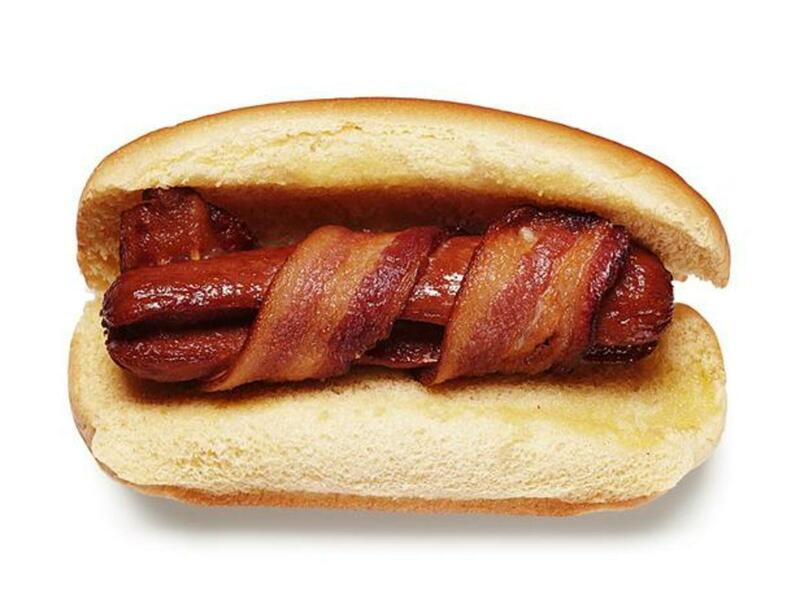 Then they wrapped the beer boiled hot dog with bacon and grilled that until the bacon was cooked crisp. I was really surprised at how good the flavor of this hot dog was. And at the Owls Ball Park they offer slaw, sliced jalapenos, homemade chili, diced onions, diced tomatoes, dill pickles, pickled peppers, sweet relish, ketchup and mustard on the side so you can put what ever you want on your hot dog. I just added relish, ketchup, and mustard to mine and it was wonderful. I was really impressed at the flavor of this wonderful hot dog. I ran across this wonderful BLT Hot Dog on a side street in St Augustine Florida at a place called the Florida Cracker Cafe. And it was one of the best hot dogs I had ever tasted. They had split the hot dog wieners down the side and they boiled the hot dogs in apple cider. I would have never thought of that. The bun was steamed and then they put the apple cider boiled wiener on the bun and then down the side inside the bun they put a couple of slices of crisp bacon and then they added lettuce and diced tomato. They put mayonnaise on the BLT hot dog but I really prefer it with out the mayonnaise. Over all it was really one of the best hot dogs I've ever tasted. I've since made them with Italian Dressing instead of mayonnaise and I really like them better that way. While I'm not usually a fan of chicken hot dogs I was really surprised at the flavor of these Jerk Chicken Dogs which we bought from a cart across from the Winn Dixie in Daytona Florida. 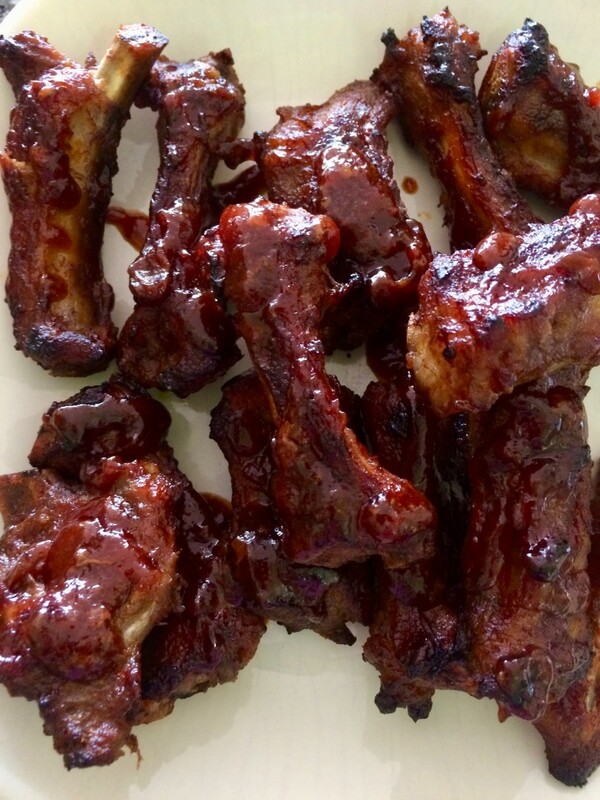 After I tasted them I've made them many times for family, friends and guests at catered meals. The preparation of this hot dog is important. You use a chicken hot dog of the best quality you can find and you pierce each wiener with the tines of a fork up and down the wiener. You then want to soak the wieners for at least two hours in beer. You can buy Jamaican Jerk Seasoning and Mango Chutney at your local supermarket. You'll also need sliced fresh jalapenos, vinegar and oil. 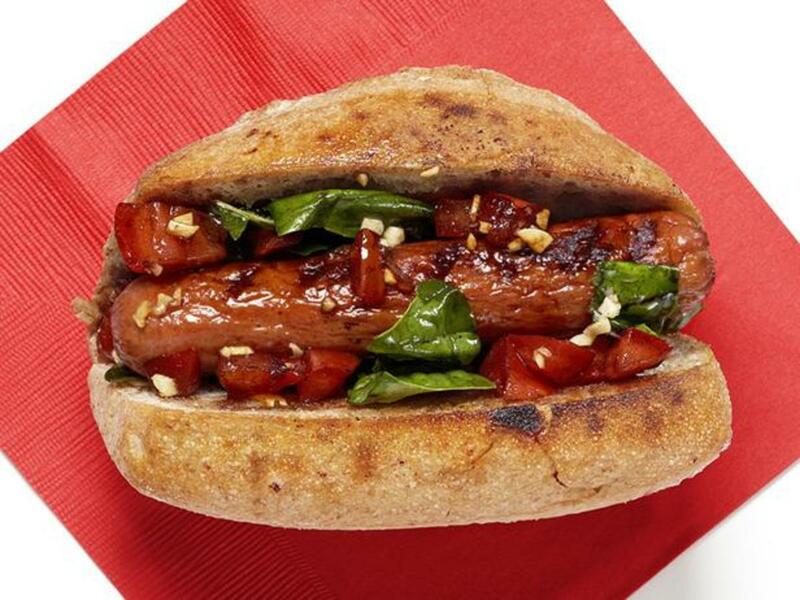 Grill your wieners and then put them onto a steamed bun and shake on vinegar and oil. Now sprinkle on your Jamaican Jerk Seasoning and a few sliced jalapeno slices and some of the mango chutney. 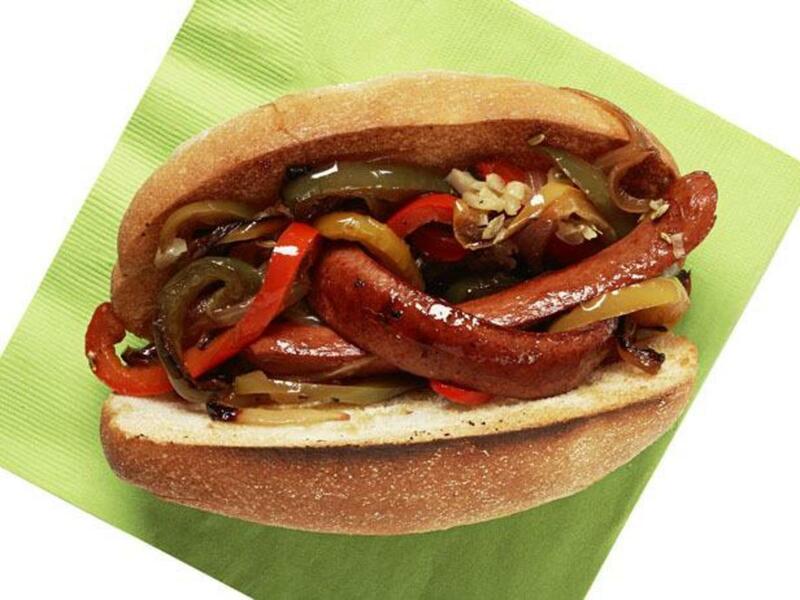 You now have one of the best hot dogs you'll ever taste with a wonderful flavor that is just simply wonderful. I soak my chicken hot dogs in Jamaican Red Stripe beer and it gives them a wonderful flavor. I ran across this delicious Sausage and Pepper Hot Dog at the Union County Fair in Union South Carolina a few years ago. You want to cut each hot dog up in about six strips for this hot dog and you want to be sure to use all beef hot dogs. Cut your bell peppers and onions up in strips just like you do the hot dogs and then put the strips of hot dog, peppers and onions on a grill and while their all cooking sprinkle them with Italian Dressing, salt and pepper. You want to butter your buns for this hot dog and toast them golden brown. Put a generous portion of the strips of hot dog, peppers, and onions on each Sausage and Pepper Hot Dogs and sprinkle them with ground cayenne pepper and fennel. Offer mustard, ketchup, and mustard on the side. I also offer pickled Italian peppers on the side and people will flat eat these hot dogs up. I've also made them and put shredded Mozzarella Cheese on them and melted the cheese under a broiler and they were so good. I could eat a couple of them right now. I really appreciate you reading my Hub Page on the 10 Best Hot Dogs in the World. I know someone is going to have a hot dog they think should be on this list but these are the best 10 I ever had. Try each one and I'll bet you'll agree that they are the best hot dogs you've ever tasted. Let me know what you think. Again thanks for reading. I appreciate you being here. Best Hot Dogs - Which Will You Choose? Please Post Your Comments About The 10 Best Hotdogs In The World Now And Thanks For Reading. It Is Appreciated. Can't wait to try some of these items for my food business. Another excellent hub, thanks for posting this one with the handy information in it. I had heard of the Chicago dog, but many of the other are new to me. However, I found the recipes intriguing. Great article. It is a wonderful hot dog. But I'm a hot dog fan. I must have that hot dog in the first photo....and about a dozen napkins. Feel free to save it or print it off. Thanks everyone for the great comments and votes. It is really appreciated. I've never heard of the Vidalia Hot dog. I will definitely have to give it a try. Can I just say WOW and WOW? Your hub is amazing. Makes me want ot go out and buy some chili cheese dogs! There are so many different hot dogs we can make. The ten recipes you have shown here look tasty and the variations are great because there is something for everyone to try. Wow - what a brilliant hub! Hot Dogs in the UK are not very good to be honest so when I do get a chance to get to the States, I am only too happy to try the local hot dogs. For me, they are a guilty pleasure. Some of these look delicious - in fact most of them look delicious and I would happily eat any of them. Of these, my favourite would probably be the Vidalia Hot Dog because I love onions on a dog.